China hailed major US airlines and Hong Kong’s flag carrier which moved to comply Wednesday with its demand to list Taiwan as part of China, sparking anger on the island. China’s Civil Aviation Administration sent notices to dozens of airlines around the world in April asking them to adhere to Beijing’s standards when referring to Taiwan, setting a Wednesday deadline to make the changes to corporate websites. But Taiwan condemned what it called China’s “insolent actions” in wielding its political and economic clout in the matter. “Taiwan’s existence in the international community is an objective fact. It will not disappear because of suppression by Chinese authorities,” Taiwan’s foreign ministry said. “Air travel is a global business, and we abide by the rules in countries where we operate,” Gilson said. 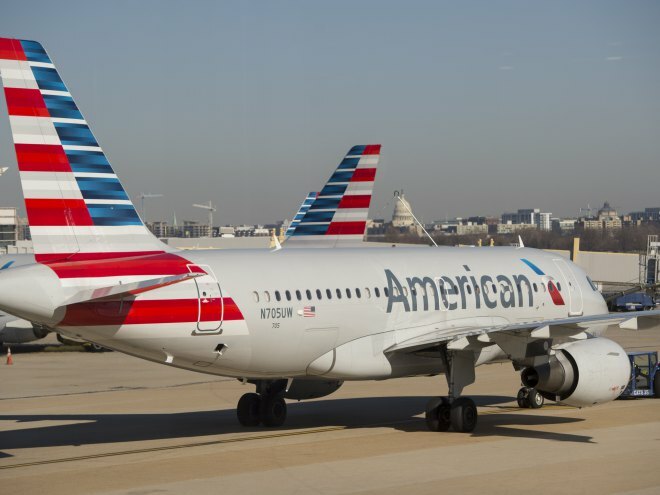 American and Delta Air Lines still mentioned “Taiwan” as an entity on parts of their websites Wednesday, but the name had been wiped from some of their searches. A simple arrival or departure airport search on American Airlines’ site listed the cities of Taipei and Kaohsiung with no reference to Taiwan. Its destination listings usually follow the template of city name, then country name. Hong Kong-based Cathay Pacific and subsidiary Cathay Dragon had previously listed Taiwan as its own entity, but as of Wednesday morning, it was called “Taiwan, China” on both its English and Chinese language websites. Cathay said in an emailed statement that because it is registered in the southern Chinese territory of Hong Kong, “we must comply with the regulations and requirements” of China’s authorities.